The silence of God is deafening in it’s stillness. One of the hardest things I experience as a Christian, is not hearing from God. I pray, I wait, nothing. No word or sign – I can’t feel His Presence. I must be doing something wrong – this time I crossed the line – God has turned away. I feel like a fraud, a hypocrite, a failure. How can I write words of hope when it feels like God has shut the door? I can’t do any of this without Him. In His grace and mercy, He lead me to the private (now published) letters of Mother Theresa. Publicly she proclaimed her heart belonged “entirely to the heart of Jesus” but letters written to Reverend Michael Van Der Peet, a confidant, in 1979 revealed something else. This was written just a few weeks before she received the Nobel Peace Prize. Mother Theresa experienced 40 years of silence. She never wanted her letters made public, fearful of the impact they might have. After reading her letters, her life impacts me more. 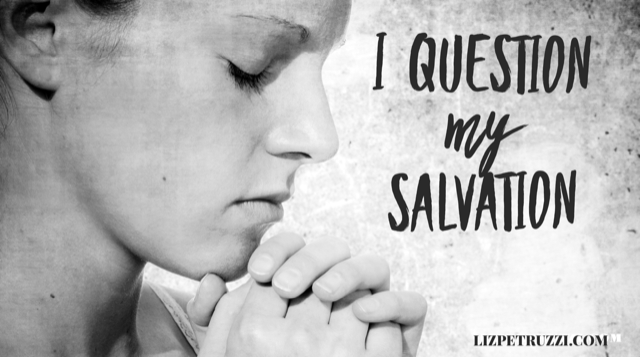 Her love for God was so great, she sacrificed herself, her life, serving in silence. My relationship is definitely imperfect, yet God in His goodness shows me things in His Word and reveals things to me in various ways. Recently I experienced what felt like deafening silence. I felt alone, cast aside, lost. I’m not sure why I experienced silence but I learned some things. The Christian life is lived in the space of now and not yet. It’s what I do while I’m waiting that reveal the cracks. When God isn’t doing what I hope for in the timing I so desperately need, do I dig deeper, read His Word? Pray? Or do I pull away, become embittered and decide this whole Christian thing isn’t what I signed up for. God cannot lie. He cannot lie and He promises in His Word He will never leave us. There are many places in scripture where He promises to never leave or forsake His children. God is the same yesterday, today and tomorrow. Even in silence, I can trust His promises. Silence does not mean God is not at work. 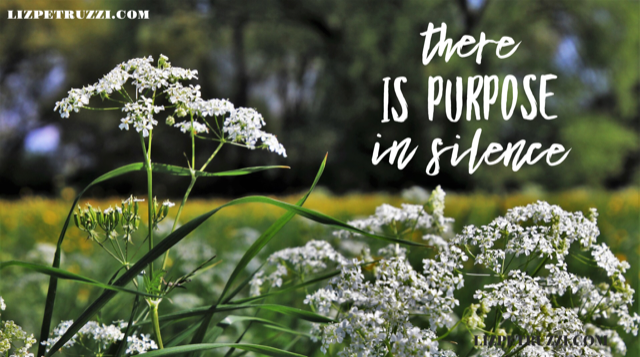 There is purpose in silence. 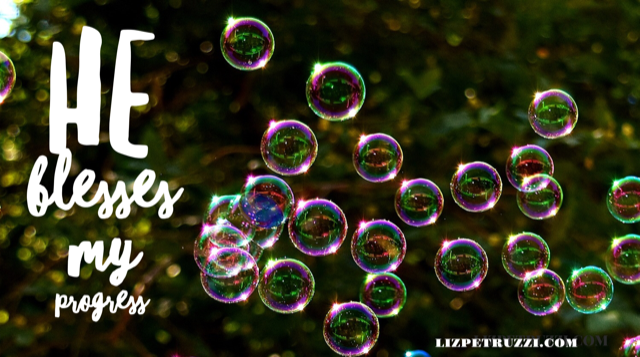 God is always working on my behalf – even when I’m unaware or life is heartbreakingly hard. He uses the uncertainty and what I do with the silence for my good – my eternal good. Silence is an invitation to come closer. Hebrews 11:6 And without faith it is impossible to please Him, for whoever would draw near to God must believe He exists and that He rewards those who seek Him. I’ve come to believe silence from God is part of every Believer’s journey. It’s a “rubber meets the road” moment where what I believe gets squeezed to the top. What do I do with the silence? Decide God’s abandoned me and go my own way? Or stay the course, dig deeper and rest in His promises. Usually, it’s a messy combination of both – a wavy, staggering path. It’s up to me what I choose – growth or groaning – usually both. 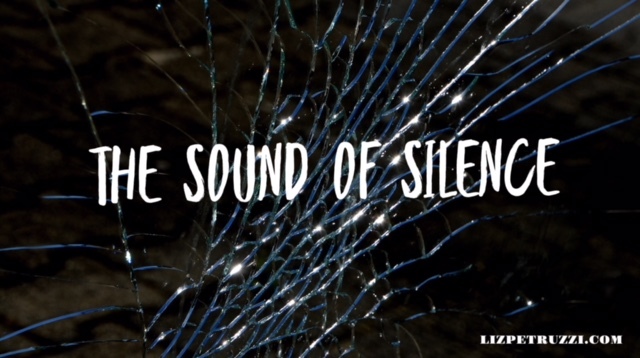 God is big enough to handle my questions, failures and unbelief – all within the sound of silence. Powerfully written. Sometimes I find myself feeling as Mother Teresa felt. I agree that in Gods silence, the enemy will trick us into thinking that we have been abandoned. Thanks Liz. Hi Helen! Thanks for reading and commenting. You are so right…the enemy knows my weaknesses and insecurities and so often just pushes a few buttons and Ido the dirty work for him. Blessings sister – thank you again for a great comment! Amen! I have been in this silence and was thinking what’s wrong with me and my relationship with God! The devil is a liar God was with me the whole time.God keeps promises He didn’t leave or forsake me! Thank you Sweet friend for this reminder that God is always with us working for us even when we feel the silence! I’m never alone! Love you!